Warsaw, Poland, 1979, Ala, now director's wife of all of Campus Crusade Eastern Europe and the former Soviet Countries. Gosia, wife of director of Poland, and then all of Russia for many years, her sweet sister who is now with the Lord and me, who had the privilege to be a small part of training them. As a young woman, starving for love and purpose, when a stranger shared Christ with me, as a freshman in college, I knew that I had found my life purpose and my God. He flooded my heart HIs unconditional love that he offered to me as His child. I understood very early in my Christian life, that being a Christian and follower of Christ would require my whole life--not just Sundays, or Christmas or Easter--but all of me for all of my life. Becoming a believer in the Lord Jesus, was a calling to His ways and His priorities, not just salvation to serve me when I died. And so I was taught at a very idealistic time in my life, my years as a college student, to love as Jesus loved (those God brought into my life), to see as Jesus saw (He looked out on the multitudes and had compassion on them) and to do as Jesus did--to go into the world to redeem those who didn't know of His great love and redemption and purpose. I was "all in." It was an amazing time of seeing God open doors to many who became Christians and began to have a profound impact on their countries for Christ. I learned that when a normal person comes to the Lord and says, "Here are my fish and loaves. Use me wherever you can," amazing results will come about, beyond our own limited abilities. I was so very young and immature, but sincere and passionate. 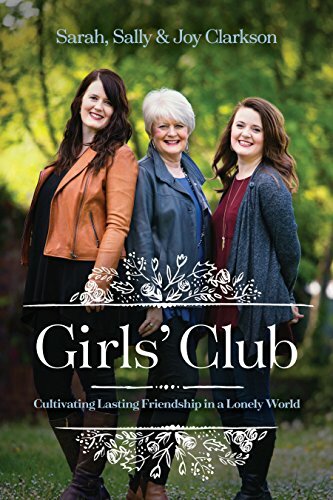 So meeting with students and sharing all that was on my heart, I saw God mold women into godly leaders, who eventually were used to influence the lives of thousands of other women in numerous foreign countries. His using the "small ones" to confound the darkness. And so this would become a paradigm when I learned to apply this principle of faith in the discipleship in my home. My precious friend, Gwen, and I, in Krakow, Poland,in 1978, praying for disciples! Fast forward. After cutting my teeth on teaching and training adults in these countries for a total of 6 years, I got married to a spiritually excited man who was also committed to ministry. Our heart was always, "Lord, show us where you want us to go to share Christ, to teach the word, and to help believers mature in their faith and in their calling to bring your kingdom to reflect in their lives." Because, I (we) had been involved in missions, teaching and speaking and working with adults all over the world, I assumed the Lord would send us into a large international city, again to work with leadership development. But, long story short, the Lord told us there was a "people group" that was being neglected--a group so very important to Him. When, upon returning to the United States, Clay and I lived in California, we saw this neglected group first hand--children. Slowly, the philosophy of the 60's and 70's sexual revolution and break down of families, abortion became an accepted choice, feminism and the independence of women and their need to have equal pay, left children somewhat as victims of many sweeping changes in our culture. Children were being aborted at an astounding rate, or given up to day care as infants, being pulled apart as divorce went up to 50%; dragged around from one set of partners to another in "free love" partnerships; eventually, 39% of all babies born would be to single mother families where a father was not even present. They were considered burdens, that took time and money, and yet their eternal worth and magnificent design were undermined and shoved to the side of mainstream life. People would never have voiced this as the intent of their hearts, but Christians were being swept in the current of a river of contemporary humanistic values along with the rest of the world. It seemed to us that everyone else had someone to champion their cause: women, minorities, persecuted peoples, refugees--and yet children, the hope of the future, the very soul and life of the adults of the next generation--were being thrown aside to fend for themselves, unprotected and undervalued--even in Christian arenas. Of course Satan would love to devalue children, the very ones who were made in the image of God. We knew instinctively in our hearts, that just as one would never expect seeds thrown into the wind to become a beautiful garden, so children thrown to the winds of a humanistic, self-centered, atheist, materialistic culture would not become healthy, growing human beings if they were tossed into the winds of culture, un-nurtured, unprotected and unguided. God seemed to whisper into my ear, "I want you to leave "the ministry"--a fruitful, exciting, speaking and leadership ministry to adults and stay home to learn the foundational "ministry of motherhood." 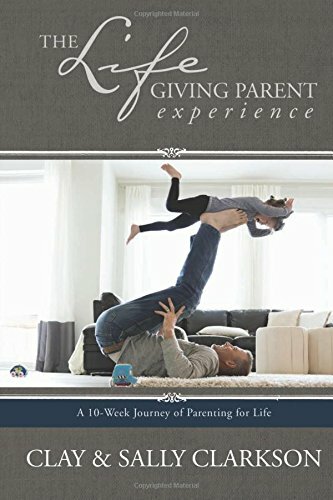 The Lord clearly impressed Clay's heart, "Build a ministry to train parents how to view their family as the most important ministry they would be held accountable for in heaven." This was the ministry arena in which He would direct us and where He wanted us to work. It all happened very suddenly. At almost 31, holding in my arms, a miracle, crafted inside of me, a soul that would last for eternity, placed our hands as a stewardship, I was deeply transformed forever. Baby Sarah was fragile, dependent and would look to us to whisper into her heart and mind the secrets of the kingdom of God, to teach her true foundations about God, His design for her life, her place in the world. Any great work always requires great sacrifice and a commitment of time and attention. 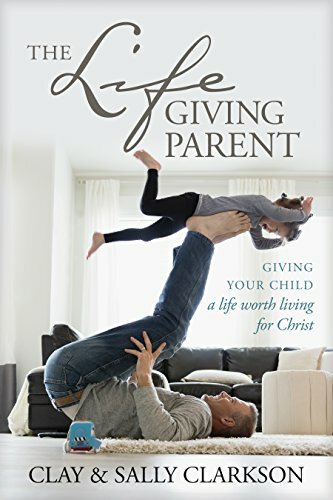 And so such an investment would be required to give our little child the best we could give, to prepare her to be strong in her world for Christ--that she could also be one who would preserve righteousness in her lifetime. And so it became our foundation for the next three precious ones that God placed into our lives and home--a new kind of call to disciple and build world leaders who would invest their lives for God's kingdom--Family Discipleship. The Holy Spirit revealed to me that my service of worship to God, was to stay at home and build disciples and leaders for the next generation in my very own home. And to learn the ways of His wisdom and to practice integrity so that in His time, it would become a message of my heart and one that He gave me from His heart.